I made these cutlets just to finish off a big bag of sprouted horse gram. Sprouts are a regular feature in our pantry and I add them to many side dishes and parathas other than making salads out of them. Now, the kids were getting bored of eating salads and they didn’t want to see these in any other form (and I managed to camouflage 🙂 ). So, here it is, sprouted horse gram patties, or tikkis or cutlets, or whatever you like to call it. Coarsely blend the sprouted horse gram in a blender or mixer. Mix it with all the other ingredients except oats/semolina in a bowl. Shape them into roundels and flatten them in your palms. Coat them in oats/semolina. If you feel there isn’t enough moisture in the roundels for it to hold the oats, dip it in a mixture of maida and water, and then roll them over in the mixture of oats and semolina. Shallow fry in a pan/tawa. Serve hot with tomato sauce. As the grains are sprouted, there is no need to cook them. In fact, sprouting makes the grain more easily digestible. If you have the sprouted grain ready, the dish gets done very fast. Just coarse blend and get started with your tikkis. Imagine! I have started packing these for kids’ snack box in the morning rush. For me, it is one more option which can be done quickly and both I and kids are happy. Yayy! Horse gram can be called the miracle legume because for its various health benefits. It is widely cultivated in India and is known as Kollu in Tamil. Regular consumption of this legume has been found to reduce insulin resistance. It is found to be a very good source of protein. It is also rich in iron and calcium. This legume is also high in fiber and low in calories making it the ideal choice for people on a diet. It is used extensively in ancient Indian medicine because of its astringent and diuretic properties. Wash and soak the horse gram in water for about 8 hours. Drain the water, tie it up in a clean muslin cloth, and hang this cloth bag in a cool, well lit place for another 8 hours. The gram would have sprouted by now. You can store this in an airtight container in the refrigerator for up to 10 days or freeze it for up to a month. How to buy Watch closely for bugs and holes, and avoid packets with a powdery residue. Once bought, they can be stored in their own packing inside an airtight container (to avoid moisture) and they will stay fresh for months together. Storage If kept in an airtight container in the refrigerator, it will stay fresh for a week -10 days. Usage Put it back in the refrigerator after taking the desired quantity of sprouts. Horse gram tends to have many impurities. Before washing it, look for and remove any small stones. To be on the safer side, wash it twice or more before using. Even the sprouts are best washed before using. Nipattu or thattai is one of the favourites in my family. This time around, I wanted to bake these instead of deep frying because I now have an oven (yep, a new addition in my home J) and wanted to try out various goodies. I stumbled upon smitha kallurayaa’s bakery style nipattu when I was browsing for recipes. The recipe is really interesting and as always, I tweaked it a bit to keep myself and my kiddos happy. Bring together maida, multigrain flour and ghee in a bowl. Rub the ghee into the flours till you get a sandy texture. Add the other ingredients to this and mix well. Add around a quarter cup of warm water to make a stiff dough. Rest the dough for around 20 minutes. Knead the dough again to incorporate extra moisture from the greens and onions. Make small rounds out of the dough and pat them into flat, thin discs. Bake the discs (a few at a time) on a well-greased baking tray for 15 – 20 minutes at 180 degrees Celsius. Allow them to cool and enjoy the crispy crackers. These can be stored for more than a week. When I go shopping, I always look for products with multi grain, whole grain ingredients. Multi grain / whole grain – what’s the difference? Whole grain, as the name suggests, includes the whole (bran, germ and endosperm) of a grain. Multi grain means more than one grain is used in making the product. Multi grain foods are high in complex carbohydrates and protein. They break down at a slower rate and hence provide energy for a longer time. Products labelled multi grain may include various grains which may or may not be whole. And they may be processed, which will not provide the health benefits that we are looking for in multi grain products. Hence, the idea is to look for whole grains as ingredients in multi grain products. In reality, Indian consumers do not have much choice in these kinds of products. Therefore, I prefer to make multi grain flour myself, which I use for making rotis and parathas. This is my personal list which I take to my grocer for shopping. This list is made keeping in mind that I make rotis most of the time and my kids do not like a change in colour or texture of the rotis at any point in time. I add more of soya beans because it does not change the texture or colour of the flour, while also being rich in protein (. Other ingredients can be increased or decreased as per individual tastes and preferences. I dry the whole grains in the hot sun for a day after ensuring they are clean. Our Indian weather conditions are very much suitable for drying grains. I put the grains to dry on a clean cloth on the terrace, and cover them with another clean cloth. This is to make sure that the grains don’t catch any dust, and also to keep them away from birds. Once the grains are dry and crisp, I take them to a nearby flour mill to grind. In subsequent posts, I will add details of how to select, buy and store each of these individual grains. Stay tuned! After weeks of planning and researching, I am finally the proud owner of a new oven (microwave, grill and convection). Earlier I used to bake using my old pressure cooker. While pressure cooker baking is great for cakes, the browning required for breads could not be achieved. So I had been waiting for this oven to try out breads among other yummies. The first bread had to be something interesting and I zeroed in on this braided bread. I wanted to make it even more interesting by adding a sweet stuffing using coconuts and dry fruits. Read on to find out how it turned out. Add coconut and jaggery to a vessel and heat in medium flame till the jaggery melts and mixes with the coconut and gets a sticky texture. Switch off the flame, transfer the contents to a bowl and add dried fruits and toasted nuts of your choice. Your filling is ready. For the bread, mix one teaspoon sugar to luke warm water and mix well. Add the yeast to this mixture, mix well and keep aside till it turns frothy (15 minutes approx). Mix the flour, sugar, salt. Add the activated yeast, milk, oil and mix well. Add warm water if required and knead for 10 – 15 minutes. Cover with cling wrap and keep aside for 1 to 1.5 hours (till it doubles). Once the dough is doubled, place it on a work surface. Punch it to release air and knead for 5 minutes. To make the braided shape, take the dough, make a ball and roll it into a rectangle. Arrange the stuffing in the centre and make cuts as shown in the picture. Fold the top and proceed by folding the cuts on either side onto the stuffing alternately to make a braid. Fold the bottom and seal it. Brush liberally with oil. Pre-heat the oven at 180 degrees celsius, and Bake the bread at 170 degree celsius for 12-15 minutes. Coconut is the mature fruit of the cocos nucifera palm. One of the most indispensable ingredients in South Asian recipes, it is a complete food, rich in calories, vitamins and minerals. A medium sized nut contains up to 400 g of edible ‘meat’. Coconut is an immediate source of energy with fewer calories than other fats. It is rich in lauric acid which helps in increasing HDL (good cholesterol) levels in the blood. It also has micro nutrients like magnesium and selenium, which help maintain strong bones. It is also rich in fibre which helps control blood sugar and cholesterol. It is an excellent source of copper, iron, manganese, calcium, zinc, and potassium and also B-complex vitamins. How to Buy Shake and see if it has good quantity of water. Look for darker brown ones; this indicates that they are mature. Check the eyes of the coconut; if they are moist or look mouldy, the coconut is spoilt, don’t buy. Storage Store unopened ones in a cool, dry place. Once opened, it stays good in a refrigerator for up to a week. I made this Chilli Jam when I had an urge to try something new, something different. I first saw the recipe in a food channel, and then I googled for more information. It’s a wonderful jam and can be put into a whole lot of recipes. Add it to your toast, your jam cookies, as an accompaniment to your Indian breads or to sautéed vegetables to give it a nice, interesting twist. I cooked this jam in a pressure cooker. Yes! You heard it right! I pressure cooked it to get the perfect set jam. Thanks to Ramakrishnan for introducing me to this technique. His simple, OneShotOnePot (OPOS) recipes can be found at http://ramkicooks.blogspot.in/. Earlier, I tried the open pot method and found the pressure cooker to be fast and efficient. If you wish to, you can adapt the recipe and cook on an open pot. It just takes more time and effort. More on this below the recipe. * Any jam or jelly requires pectin to set into that nice, perfect consistency. You can add commercially available pectin to help your jam to set. Pectin is not easily available around my place, so I chose apples (with skin). Other fruits that are rich in pectin include pear, guava, plum, gooseberry, orange, and other citrus fruits. Apply oil to a whole red capsicum and roast it in the oven or stove flame. I did the latter. It took approximately 15 minutes on a low flame. Remember to turn it around. Once roasted, remove, cool a bit and peel the skin. Cut chillies into small chunks. Blend capsicum and chillies in a blender. Place this mixture, along with sugar, apple cider vinegar and grated apple, directly inside the pressure cooker (do not use a vessel), and pressure cook on high for three whistles. Allow the pressure to come down, release the valve and check for consistency*. Immediately transfer the mixture to another container and cool it. You can store it in an airtight glass jar in the refrigerator for up to a month. When you do it in an open pot, you wouldn’t exactly know when to stop cooking. Hence, freeze a plate or two before you start cooking the jam. Once the sugar dissolves, the mixture will start boiling vigorously. Using a ladle, scoop and pour the mixture into a frozen plate. If it sticks to the spoon as a lump and falls slowly, you know that the jam is getting ready. Remember to switch off the flame while you do this checking process. If it forms a thin film and wrinkles to touch, your jam is good to go. Last but not the least; I wanted my jam to look like it is store bought. So, I did my best to bring the looks together. I chose red capsicum and wanted the skin removed so as to get the perfect consistency. When you try this yourself, you can of course choose the colour of capsicum to use. You can also decide on whether you want to remove skin. That is purely your choice. Red chilli (both dry and fresh) is high in nutrition. It contains a substance called ‘capsaicin’ which gives it the characteristic pungency. Capsaicin is considered an effective treatment for sensory nerve fibre disorders including pain associated with arthritis, psoriasis and diabetic neuropathy. Some chillies like cayenne also help improve cardiovascular health by lowering blood cholesterol and triglycerides, and in clearing mucus during a bad flu attack. Chillies (red and green) are also rich sources of vitamin C. The bright coloured red chillies have beta-carotene and pro vitamin A, which helps in improving immunity in the system in the long run. Hence, making it a regular part of your diet might actually benefit you. So, go ahead and have your chilli; enjoy the spice and the health too! Hi! I’m back with a kid-friendly recipe. Breakfast is always trouble around here with the kids. They don’t like idli, pongal,or any of the other regular breakfast items in a typical South Indian menu. I would always be in a fix when I wake up without having planned for the day’s first meal. So, when I thought I will try something new from the dosa variety, I discovered Ragi Pancakes. And! Here is a secret! Because of the colour, my little one calls this choco pancake… and hence, I consider myself to be the winner in this breakfast war, having given them a healthy, yet tasty dish. I tweaked the basic eggless pancake recipe and added jaggery as a healthy alternative for sugar… and here comes the recipe. Add jaggerysyrup, milk and flavouring of your choice to ragi and wheat flour and make a thick batter of pouring consistency. Add a pinch of baking soda and give it a gentle mix. Pour the mixture on to a hot pan and let it take the shape of a circle (no need to spread the batter). Add a little butter if you are in for indulgence, or a bit of your favourite fat will do. Once cooked, flip the pancake to cook theother side. The pancakes turn to a nice deep brown and give a chocolaty effect. I’ve added home-made whipped cream to make it more interesting. Ragi is a finger millet, which is high in protein and minerals (in comparison to all other cereals and millets). Being a good source of protein, it is perfect for vegetarians. Ragi has high amounts of calcium and potassium. It is a great source of iron, making it beneficial for people with low haemoglobin levels. Low in fat and gluten free, ragi is easy to digest. It is therefore given as first food to babies in the form of ragi porridge. Ragi possesses anti-diabetic, antioxidant and antimicrobial properties. Process Remove impurities and clean with water and dry in sunlight for a day or till it gets completely dried.Make a fine powder by grinding it in a mixer or a mill. How to cook Ragi flour can be cooked as porridge by adding it to water. Follow the procedure as in any porridge recipe. It’s been raining awards and, needless to say, I’m thoroughly enjoying it. 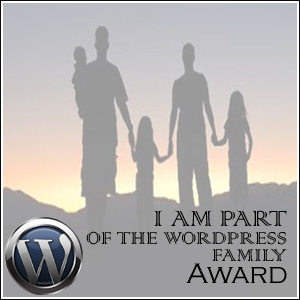 I was in for a surprise when I got not one but two nominations from Aneela of theoddpantry. Thank you Aneela! I stumbled upon Aneela’s blog quite recently and was pleasantly surprised to see so much useful information in her beautiful space. Do check it out for yourself. 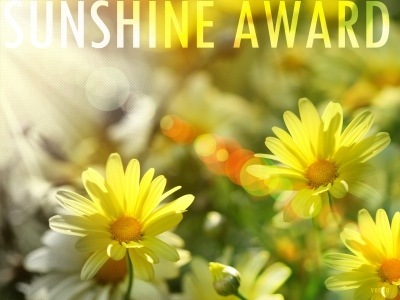 I was also nominated for the Sunshine award by Deepa of deelightfullyveg and Rose from NishKitchen. So, there is reason for me to celebrate. Hurray! And thank you, Deepa and Rose!!! I now get to display these proudly on my blog…. When I wanted to keep track of all the dishes that I try out, I chose the blogosphere to be my perfect partner. 3. If you were to go on any reality TV programme, what would it be and why? I am very much interested in music. I have been taking training in Carnatic classical from a young age and have often dreamt about taking the stage some day. Being the shy person that I am, I know it will just stay in my dreams. Definitely, reality shows are not for me. 4. What was the last thing you Googled? Blog awards. Sorry, till I got these nominations, I did not have an idea about what they were. Once again, I want to thank Aneela for letting me know about it. 5. Night out or night in? Night out with my family. 6. What has been your favourite blog post to write? It’s definitely on its way. I am very new to the blog world and am yet to get a hold on things over here. Hope to do my best. 7. What is the one thing you never leave home without? It has to be my wallet and mobile. But there have been times that I have forgotten those too! 8. Where would you most like to travel to? To Switzerland, for the love of chocolates and mountains. 9. If you could have any super power, what would it be? To be able to do whatever I want. I know what you are thinking; there is no need for a superpower to do just that. But then, with this kind of thing, the mind becomes the super power. Doesn’t it? 10. What can we expect to find on your blog in the future? I got started on this space thinking about more than just recipes…. but I’m trying to settle down and bring a kind of routine. For now, it is more and more interesting recipes. My little D’s friend had come over and they were playing games. It was time for some fruits and I gave each of them a banana to eat. D’s friend finished her banana and threw the peel into the garbage can. The next moment – I hear a scream from little D. Not understanding what had happened (she was playing happily just the last minute), I rushed to the room. She had screamed coz her friend had put organic (wet) waste into the inorganic (dry) waste can. I tried to pacify her by saying that its okay to mix garbage once in a while, but in vain. She ended up having a good fight with her friend! The government has been trying to take measures to manage solid waste. But most of the efforts are not showing much results. This blog is about my little knowledge at segregating waste at source (in homes). My little ones and I are very particular about waste segregation. We actually introduced segregation at home a month before it was announced formally in our city, and are continuing to do this even after the municipal corporation has given up! I was initially skeptical; not sure how young kids can learn to differentiate between dry waste and wet waste. But from the time it was introduced to them, the two D’s have been doing really well (even better than me) in segregating. First, I told them what is organic and inorganic. Organic waste is anything which can blend with the soil. Mostly natural (all vegetable, fruit and food waste). There is a third kind – called hazardous waste – which mostly consists of used batteries, incandescent bulbs, flourescent bulbs and any kind of material which will have harmful chemicals in it and can spread through the air if mishandled. We have two garbage bins at home. One, outside in the balcony and one inside. The outside one is used for organic waste. I have installed a few hooks above the organic waste bin where we hang plastic covers which are about to be thrown away (like empty bread packets). So, even when the kids run to the outside bin with dry waste (by mistake), they have a place to put it. Initially, they had doubts and would ask me before throwing anything. But, within a few days, they were all set and have been contributing really well towards segregation. What a way for the young generation to be more responsible towards society!